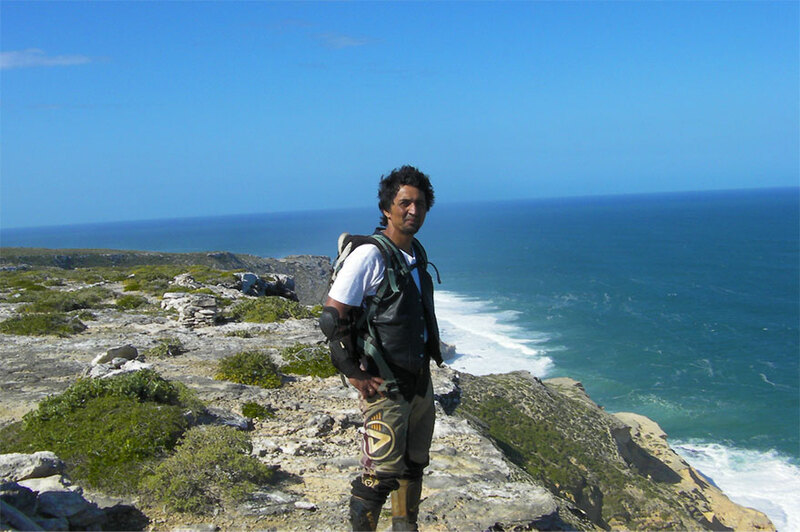 Planet Ride interview today Jean, motorcycle specialist partner in Madagascar. A child of the country, fond of an all-terrain motorcycle and adventure, Jean has been practicing the island’s tracks and off-piste since his teenage years. He is a fan of adventure tourism and authentic meetings with the locals. Your first name: My name is John, but in the bush, I become Monsieur Jean. For the Malagasy people naturally give their respect to those who are honored to visit them. When did you open your agency? My agency has existed since 1995, but it has long lived as a rather informal agency. 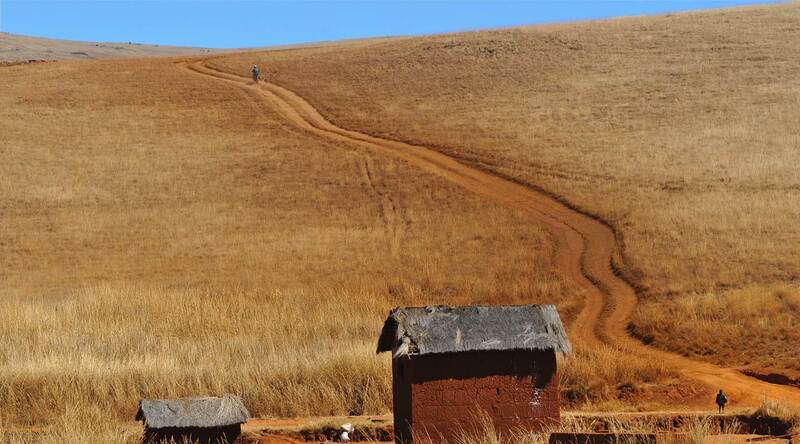 We organized two or three times a year of discovery trips in total off-piste, borrowing traces left by the carts in Zebus. It was a total adventure, unusual discoveries and indelible memories. The agency has been operating in its current form since 2010. We saved the spirit of adventure but it was necessary to introduce more security and organization. Settling in Madagascar was for me natural because I was born and I grew up there. So it was a return to the source for me. Does your agency present a peculiarity to other agencies in the territory? 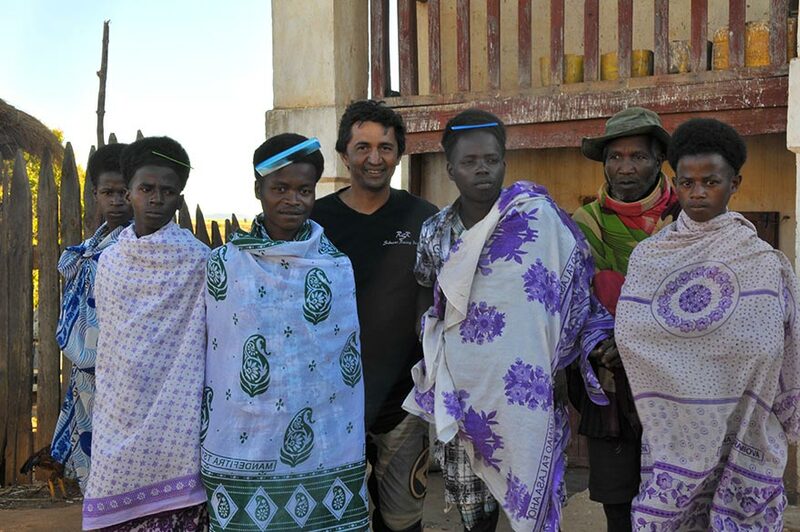 I am a Franco-Malagasy Métis and my knowledge of both cultures gives me, I believe, the best access to both cultures. I feel in communion with both societies. Which sometimes translates into very nice exchanges. For the other agencies in the territory, at least for those that I have been able to rub shoulders with, they are quite nice. Maybe because of the famous biker solidarity. What’s your story? How did you come to propose motorized trips to Madagascar? My story is that of a lover of the great outdoors and adventure. I then created this agency to live my passion and to share it. By the force of things, it also became my profession. On which machine do travelers turn when they travel with you and Planet Ride? We use classic machines: Honda, Suzuki, Yamaha and if possible avoid the mounts with too much electronics. My advice is mainly to indicate to our travelers the good displacements adapted to the selected circuit. Why this choice of gear? 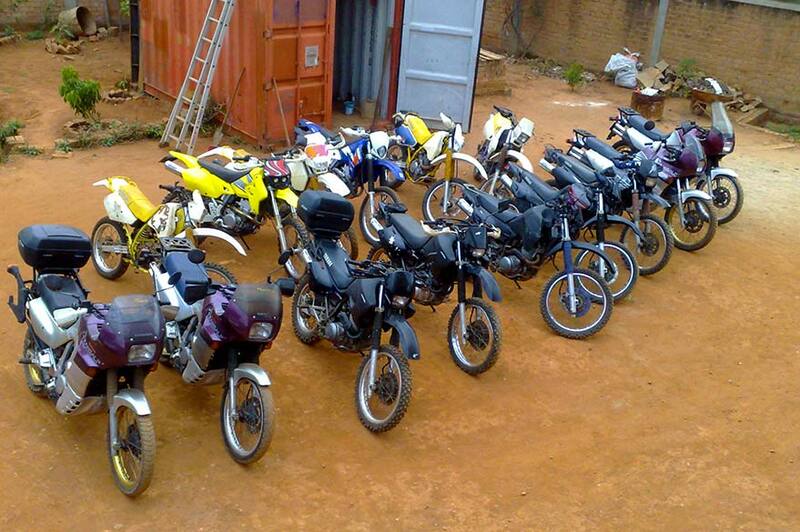 These motorcycles are the best suited to the country. They are reliable and the parts are easy to find. Why is a trip to your destination unavoidable? 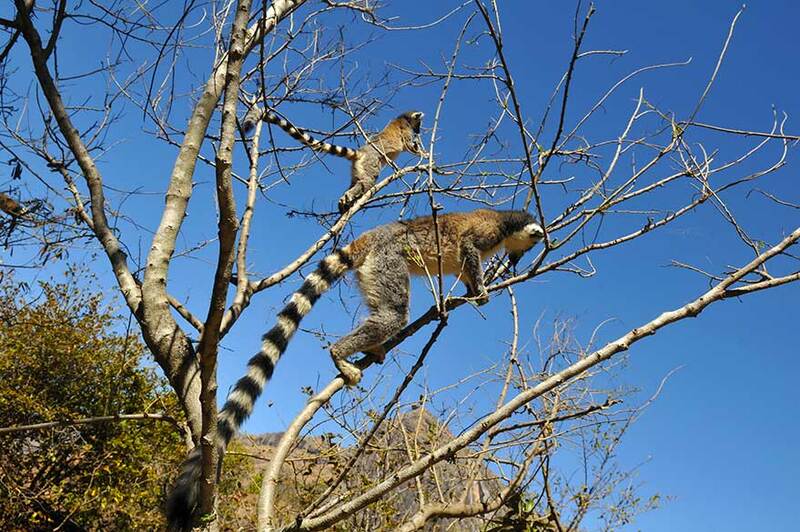 Madagascar is a curiosity in itself. It has a very special geographical position. It is the 4th largest island in the world: close to Africa, but it has a majority of people of uneasiness origin. It is rich of an endemic flora and fauna, unknown elsewhere. Riding along its tracks, with respect for the environment, is a privilege. The possibility of access to exceptional sites. The treasures of nature deserve. If elsewhere, motorized travel is synonymous with freedom, here they are also a necessity. 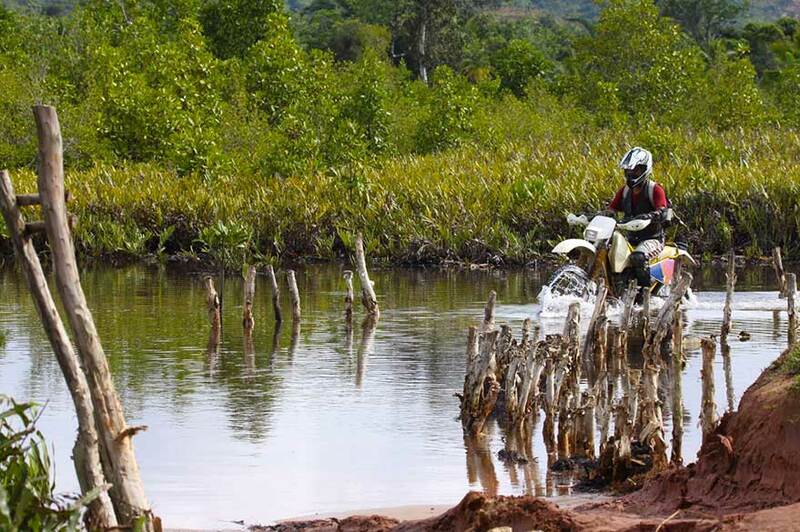 A motorized trip is the possibility of access to exceptional sites, sometimes unknown, far from the beaten track. For the hidden treasures of nature are deserved here. What is the biggest advantage to making a motorized trip in the country you propose? If the country has great assets to attract the visitor, it is sorely lacking in road infrastructure. Where there is no more road or track, only the bike can ride on natural ground. What is your favorite place in the destinations you offer? You got a picture? The Cape of Saint Mary, at the extreme southern tip of the island. There, the Mozambique Canal and the Indian Ocean mix their waters. Seeing humpback whales that seem to play with the waves of the two oceans at this place is a magical moment. What’s your best memory of wrinkle? A meeting in the middle of the bush with the Mikéa, during a solo recognition. It is a rather enigmatic ethnic group of the country, which refuses contact with civilization. This meeting was more than unlikely. It remains for me a great memory. And yet no one seemed to be surprised at my presence in this haphazard encampment. I stayed a week. A word to the future Planet riders? Welcome to travelers looking for new frontiers, adventure and a singular culture.